We deliver a proven, award-winning, impactful, and sustainable approach to create a Culture of Accountability® across your enterprise. We are accountability evangelists, accountability champions, and accountability thought leaders. Accountability is pervasive in our training, our own company culture, our language, and more. It’s more than a means to an end. It defines us. 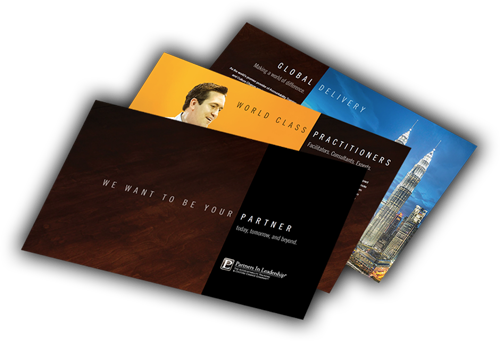 We team with our client partners (which include thousands of the world’s leading companies) to produce true, mission-fulfilling results. Our Accountability Training and Culture Change services are proven catalysts for achieving results. Our clients appreciate our straightforward approach: We assess a client’s organization, identify the top three Key Results (the results you want most but are not currently getting), then design and deliver a tailored approach to transform the organization’s culture into one focused on executing its strategy. Chili’s culture is engaged from top to bottom. And purposefully achieving those results. Watch below. Key Results. First we mobilize your entire organization around your top priorities—the top three Key Results you must achieve this year. Then we equip people at every level with the knowledge and tools to close Accountability Gaps™ and to take personal accountability to achieve those Key Results. R2 Results. Your current culture is delivering the R1 results you are achieving today. But the R2 results you want to achieve usually require a change in the way people think and act—a shift in culture to produce those R2 results. We are the world’s experts in guiding and accelerating the cultural transition you need to get there. Key Expectations. You rely on people to deliver on the expectations you have of them—but not all expectations are equal. Key Expectations are those where you have decided that not delivering is not an option. Our proven tools and methodologies allow people at every level to engage and create accountability to ensure delivery of those Key Expectations. We are experts in large-scale enterprise-wide culture transformation efforts as well as focused training of targeted populations. Applying our diverse expertise and #1 award-winning content delivers an agile platform for both transforming organizational culture and optimizing individual performance to achieve results. We invented Accountability Training and remain the world leader by which all other services in the discipline are measured. First introduced in our breakthrough book, The Oz Principle, this approach has energized millions to take personal ownership for organizational results. Our pioneering efforts in this field have framed our Cultural Transition Process®—concepts originally presented in our New York Times bestselling book, Change the Culture, Change the Game. These services and methodologies are now used by the world’s top organizations to accelerate change in the way their people think and act to achieve Key Results. Learn more about our impactful and sustainable approach to create a Culture of Accountability® across your enterprise.